India, a densely populated country with a population of 1,339,180,127 (as of July 2017) ranks second in the world.There are ample opportunities that are created every minute for the people. 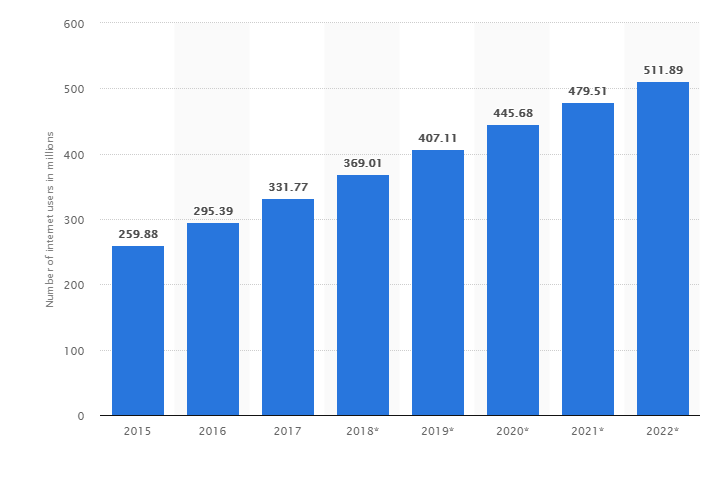 And when we say digital marketing, then note that the future of digital marketing in India and the scope of digital marketing in future is going to get brighter in the coming years. A mobile phone has become the basic need for everyone. Even if your mother wants to try out a new recipe, she definitely uses YouTube to take the jot down what is needed and how it is to be done. And when it comes down to the business, no doubt the trend of digital marketing is on the boom. Everyone wants to market their products and services through the internet to increase the reach. Compared to traditional marketing these are some key benefits which make this marketing strategy more effective and affordable. According to a survey (by Internet and Mobile Association of India (IAMAI)), India will have around 500 million internet users by June 2018. This will create a fascinating business opportunity to sell services and products to a growing population of tech-savvy internet users. Let’s list down the top 10 reasons as to why the future of digital marketing is going to be bright in India. The previous traditional set of marketing was limited to door to door and mouth publicity. Previously the marketers were using physical manpower to promote their products. But now with the changing times, people want everything at their fingertips. And fulfilling the needs of the customers is the highest priority of every business. So the trend of digital marketing took off a few years back. Now that even the smallest thing can be found on the internet. People and the marketers are really going gaga over this digital marketing trend. How was the marketing for real estate earlier? It was mostly through print media or banners. But now, all the real estate giants are preferring the digital platform to market their blissful homes to their customers. Making the content engaging is now their mantra to succeed. 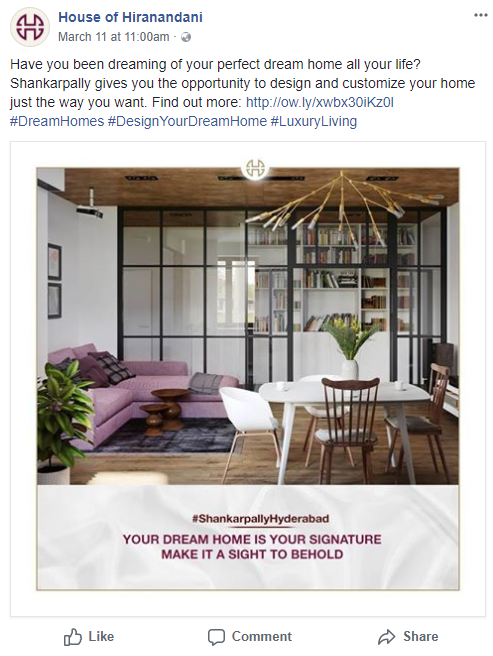 If we look at the above screenshot of Hiranandani’s Facebook page then it is clearly visible that the real estate giant is targeting people with real-time pictures. If people are able to see the exact pictures of the product, they would intend to buy it. In this way, we all can clearly see the difference of how the traditional marketing has seen a drastic change. And it has been taken over completely by digital marketing. Everyone in the country is preferring digital marketing over everything else. Even the startups are launching their business via digital marketing. This platform eases the process of every business. The company doesn’t have to deploy the manpower to go physically into the market and promote the product. It offers a wide range of economical, powerful and contemporary mechanisms and mediums of marketing. Every type of product and service is now opting for the option of digital marketing.Because they know that this is the proven platform. Right from tech giants to hoteliers are on the digital platform. It is not that the business owners are promoting their product always. They try to engage with their audience through various facts. 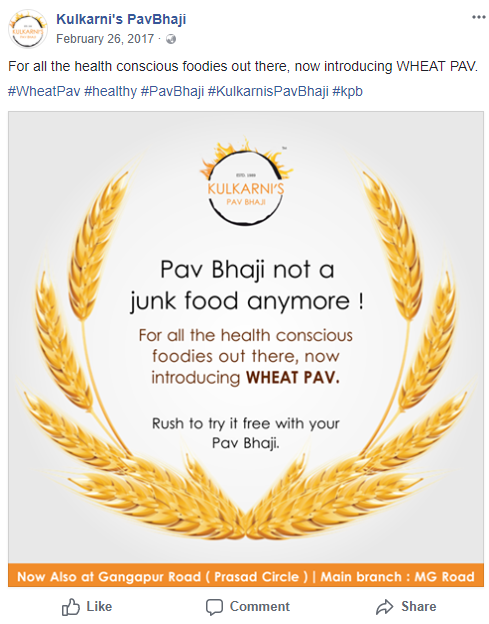 Above is the screenshot of a famous Pav Bhaji joint in Nashik, Maharashtra. Being a small scale hotelier, they are choosing the digital marketing option to reach out to a larger bunch of people. This is not by informing the audience about their product. But instead, they have posted some engaging content that would interest the viewers. Thus, such kind of tricks is working a lot for the marketers these days. Now, the opportunities are not only available in metro cities but also in small towns. The government has also come up with the application for Employment programs. Everything is going digital these days. Thus, if we talk about, digital marketing career in India, then you are at the right place. Stop debating over the choices and get to know what benefits it holds. 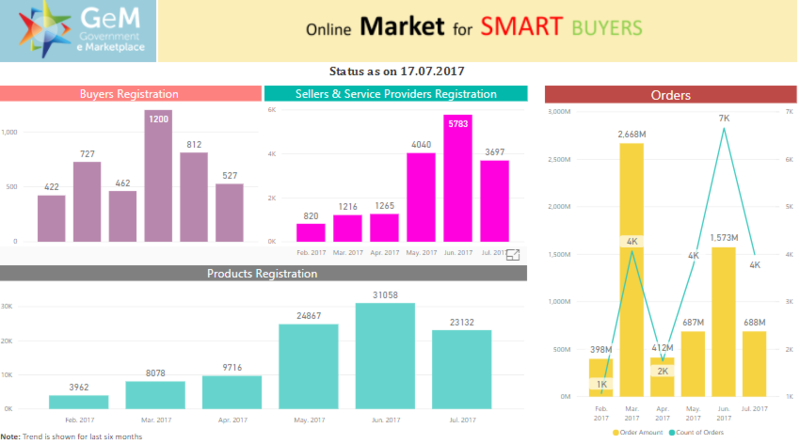 The government’s e-marketplace is also seeing a considerable rise in its e-marketplace analytical graphs. All the registrations have gone up with minor fluctuations. The fluctuations happen at every place. People in India are getting to the technology slowly and it is going to take some time to get acquainted with it. All of this means that if the government is also giving a helping hand, then why to avoid it! Government is coming up with many projects under digital India initiative for the youths of the country. Indian Prime Minister announced that by 2020 on the digital space there would be more than 20 Lakhs available to students. Moreover, during the launch of Digital India week many industries joined hands with the government to make e-India a reality. Today, it is said that “Being Digital is Being Global”. And this is the reality. Through digital platforms like Facebook, Twitter, Instagram, LinkedIn, one can reach to the audience of any corner of the world. The reach of these social media platforms is so huge that you can connect with almost everyone now. In India, many people are doing business whose target audience is the USA only. So anything is possible with social media. many companies from the USA also prefer Indian Digital Marketing Agencies to plan out their social media campaigns. In other words, there’s a lot happening in India’s digital marketing space. Many people are talking about it and searching for it as well. Many institutions are nowadays introducing degree courses in digital marketing that has a practical approach. The academic courses are residential and online both. Mudra Institute of Communication is India’s topmost college to learn communication. The college is offering a certification program in digital marketing. Also, it offers courses in branding and advertising. There are many other colleges who are coming up with a curriculum that involves digital marketing. Even many digital marketing agencies now have their own academy where they teach digital marketing to the prospective students. It is as simple, when there is demand, there has to a proper supply. The demand for digital marketing is on the rise and those who know are coming up with ideas to train the students. Metros are already a part of the digital economy. But now as the scope of digital marketing is increasing, the towns and cities are also getting highly connected with digital mediums. Many startups are getting launched in small cities and they are reaching the global audience via social media. 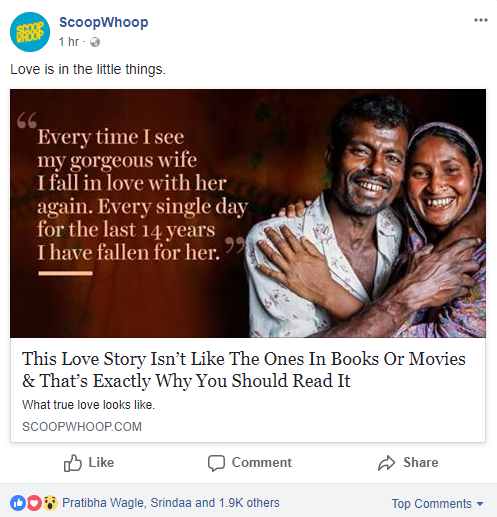 If we take an example of online portal ScoopWhoop, it was started by Sattvik Mishra and 5 others in August 2013 in Delhi. But the way they were writing their content and posting it on social media made them starts overnight. Everyone in the country is a fan of content that this web portal is generating. They are completely accomplished on social media today with more than 1000 likes on each post. Comparing it with other marketing platforms, digital marketing is one of the most affordable media to promote the product. Gone are the days when one was spending thousands and lakhs n getting the ad printed in the newspaper. With digital media, it has become so easy. If you are a real estate company, you can promote your new project on social media by reaching thousands of people at one time. Creating an ad on Facebook hardly costs around ₹40 per day, which is nothing. Average cost per click is ₹0.52 to ₹2.3. Spending lakhs of rupees on a single ad and spending just ₹40 per day can give good results. Many industries and new start-ups, all are heavily investing in the digital marketing activities. They are looking for people who can devise and implement digital marketing strategies that suit their needs. Since people are heavily using social media for everything, the engagement rate ought to be higher. People need quality content for updating themselves and getting entertained. So it is the responsibility of the digital marketers to generate content that engages the audience. The online food delivery service, keeps its audience engaged all the time by posting creative content on the Facebook page. 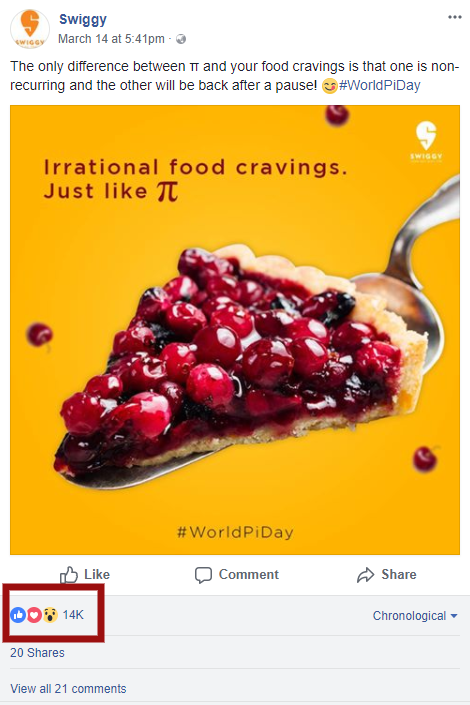 Their page is all about food but they make it so creative that one cannot scroll it down without hitting the like button. So the bottom line is, if you are creative, you will be a big hit on the digital platform. The above graph clearly says everything. People using the internet in 2015 were 259 million which go up to 331 million in 2017. It has been predicted that the number internet users are to get doubled by 2022. This is because, the rate in which the country is growing in terms of everything, people will be heavily dependent on the internet in the coming years. It has also been predicted that the revenue generating from digital classifieds is going to be five times more than it was in 2015. In the financial year 2020, the highest revenue will be around ₹23 billion. 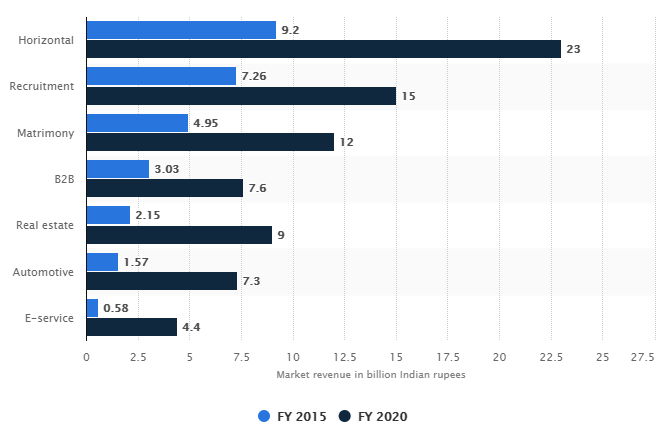 All the revenues will be doubled by 2020 in the field of digital marketing. Therefore, in order to put yourself in the driving seat, all the Indian business have to be well-worse with digital marketing in order to represent the country in the global marketplace. Not only businesses but the candidates who are looking for a career opportunity in this field can finds lakhs of jobs in almost all the cities. The scope is wider when it comes to digital marketing. Digital Marketing will remain as the most powerful way of Marketing in the future. But as the dynamics of digital marketing is changing every day, a digital marketer has to be agile, alert, smart and adapt to latest changes. Not only that, digital marketer of today and tomorrow will have to anticipate changes and implement it way earlier than the change actually happens so take advantage of it. So if you are thinking ought to or not no, it’s indeed right time for you to go digital! A great piece of writing. But i will really appreciate it if you can provide the sources of your data in the article too.